We invite elephant conservationists and researchers from around the world to present conservation projects and research outcomes, new technologies in field conservation and conflict mitigation, studies in disease, reproduction and behavior, and other issues that impact the long- term survival of elephants at our 16th International Elephant Conservation and Research Symposium. Abstracts are due April 26th, 2019. We are excited to bring the 16th International Elephant Conservation & Research Symposium to the fabulous Zebula Golf Estate and Spa in Limpopo, South Africa, hosted by Adventures with Elephants. 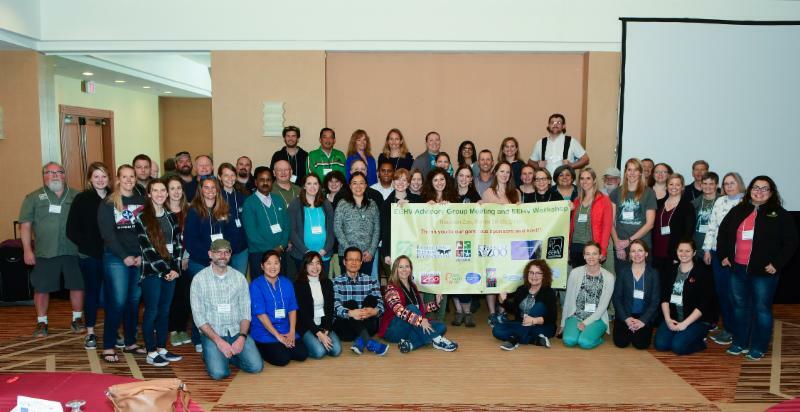 This unique meeting is an opportunity for researchers, conservationists, and elephant enthusiasts from around the world to connect, share their work, collaborate, make friends, and develop professional relationships. Talks will cover everything from EEHV to human-elephant conflict to habitat use and protection, and more! We would love to see you there! Registration is limited to 150 participants and the conference fee is all-inclusive of accommodations, meals, symposium talks, and airport transportation. Don’t miss out; Register Today! 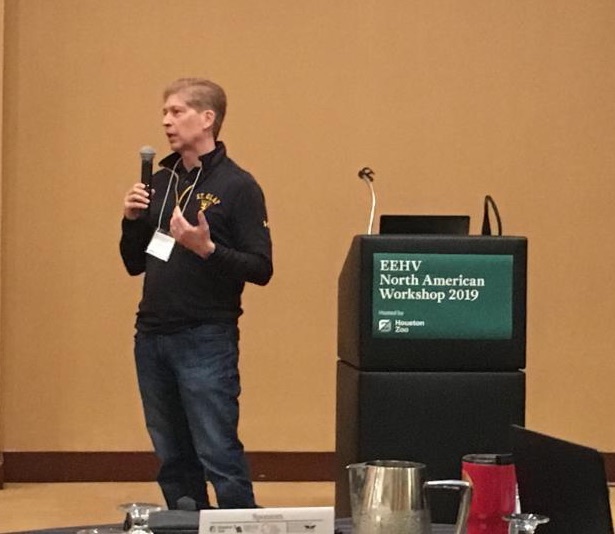 In March IEF provided support to the 2019 EEHV Workshop held in Houston, Texas. 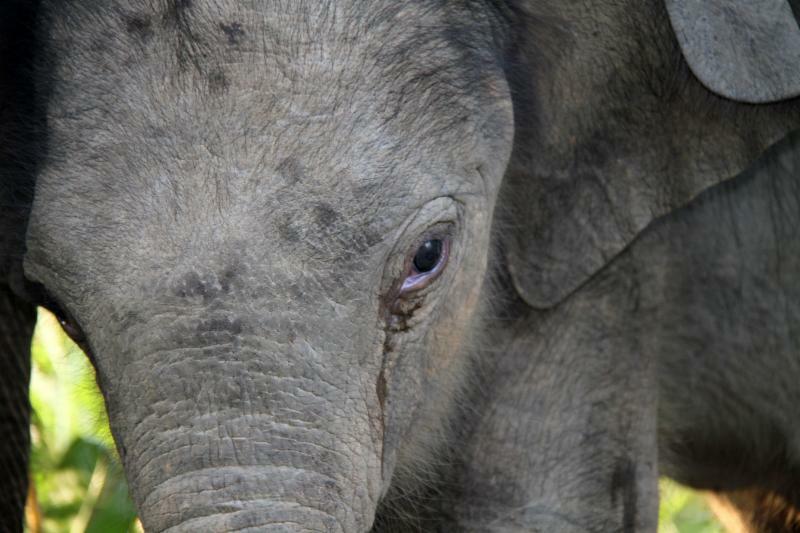 Elephant Endotheliotropic Herpesvirus or EEHV is the leading cause of death among young Asian elephants born in North America and Europe, but it is not localized to just Asian elephants as there have been recent deaths in young African elephants as well. EEHV is also present in wild elephant populations across Southeast Asia and Africa, presenting a potential significant threat to both species’ survival. We must stay vigilant in our fight against this disease, which means supporting research efforts, sharing best practices, collaborating with scientists, conservationists and elephant managers, and never giving up. Thankfully, that’s exactly the purpose of the EEHV Workshop. 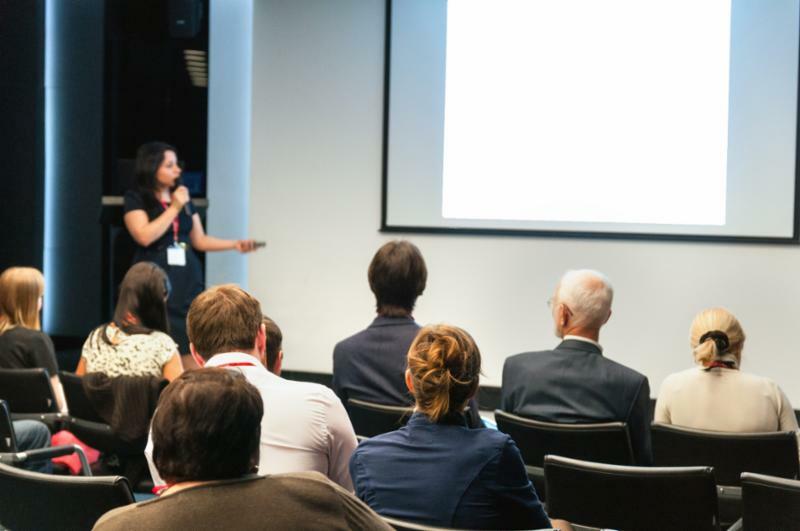 IEF was proud to support this workshop, as well as the groundbreaking and potentially life-saving research of many of the workshop’s presenters. HOUSTON — A lethal virus, called EEHV (elephant endotheliotropic herpesvirus), is causing the death of young elephants globally both in the wild and human care. 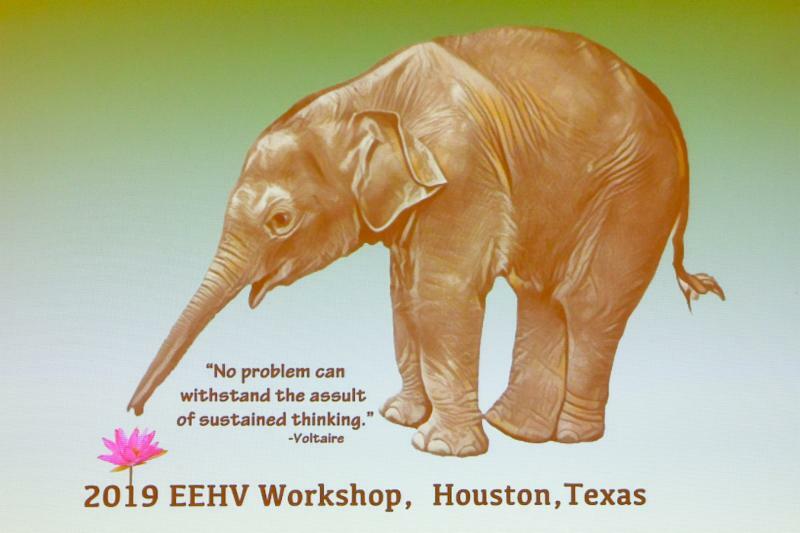 Determined to find solutions to protecting elephants from the virus, researchers, veterinarians, virologists, scientists, elephant care specialists, and conservationists came together for the bi-annual North American EEHV Workshop the last week of March in Houston. Workshop participants visited laboratories at Baylor College of Medicine, which is one of the leading research centers working on EEHV; and the Houston Zoo, where participants learned the latest techniques for training elephants to voluntarily participate in their care that includes regular blood samples and treatments when needed, in addition to a hand-on laboratory where participants practiced diagnostic techniques on blood samples. 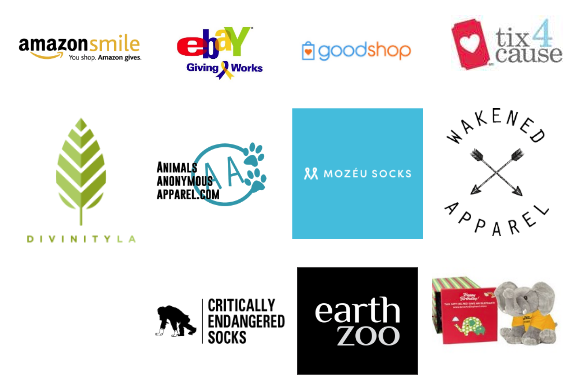 Consider helping us Stomp Out EEHV with a donation today. 2019 is the 20th anniversary of the announcement of the discovery of EEHV: identified by Dr. Laura Richman under the tutelage of Dr. Gary Hayward of Johns Hopkins University. 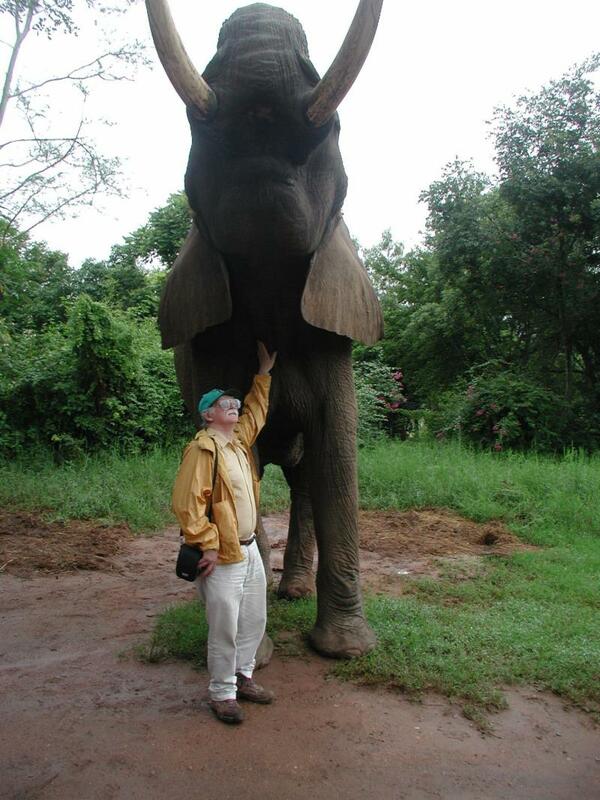 From that moment, Dr. Hayward has been the leading researcher into the understanding of EEHV and its impact on both captive and wild populations of elephants. 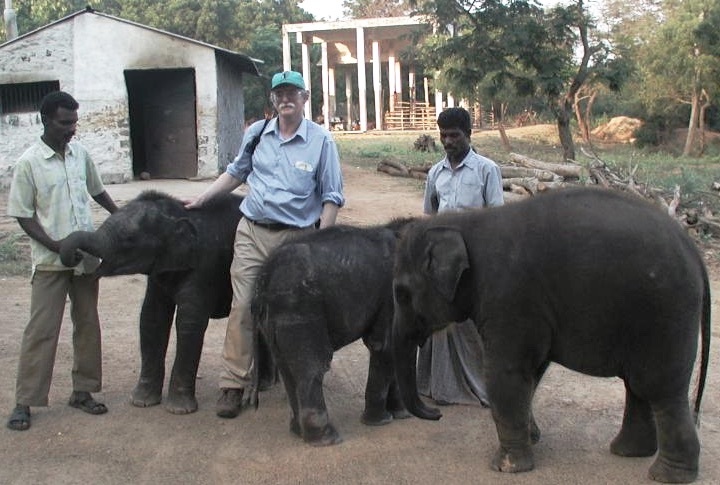 Dr. Hayward and his colleagues identified the genomes of all seven known species or types of EEHV that infect either Asian or African elephants, including sequencing and deciphering the complete genomes of two of them (EEHV1A at 178,000-bp and EEHV4 at 206,000-bp) and large segments of most of the others, making his work the foundation for nearly all other research into the disease. The most common and useful techniques for studying viruses (growth of the virus in laboratory cell culture or in small laboratory animal models) are not applicable for EEHV. However, studying the genomes of EEHVs by PCR amplification and DNA sequencing directly from necropsy tissue and other clinical samples provides information about the genetic make-up of each virus and about the genes and pathways that they utilize to take control of particular types of host cells. This information allows the generation of additional clinical reagents such as specific antibodies and target antigens, as well as cloned expression vectors for viral enzymes that can be used in laboratory research and pathological diagnosis. One of Dr. Hayward’s goals is to identify viral immediate-early genes, latency genes and immune evasion genes and other potential novel viral genes or pathways that will provide insights into the mechanisms of viral pathogenesis that will help generate engineered attenuated vaccine strains or new targets and approaches for better antiviral drugs. 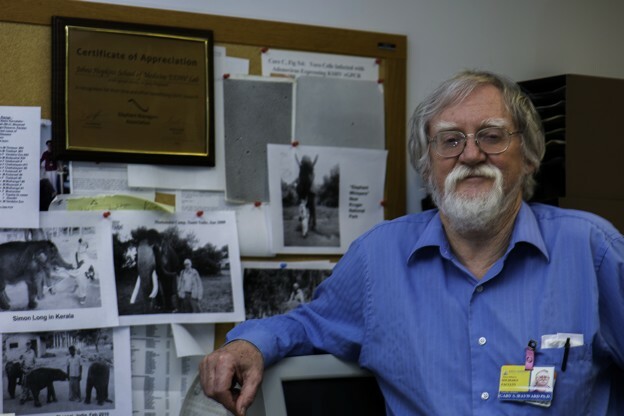 A major portion Dr. Hayward’s recent efforts have been dedicated to editing, assembling and annotating the PCR DNA sequence data obtained for most of what is considered to be the standard set of over 30 North American and European EEHV1 strains that have been evaluated over the years. During 2018, Dr. Hayward, assisted by J-C Zong and Sarah Heaggans, has successfully completed the submission and release of 114 new Genbank files involving four separate intriguing genetic loci (totaling 25,000-bp) for which only very limited data was available previously and that encompass multiple clustered subtypes of hypervariable genes and proteins. Many were evidently originally “captured” or “pirated” from the mammalian host genome during the evolution of this novel group of herpesviruses in the ancestors of modern elephants over the past 100 million years and map predominantly within the novel Proboscivirus-specific segments of the EEHV1 genome. They include the highly complex R2 or E47 to E55 gene block (which encodes a large family of immunoglobulin-like genes, several chemokine receptor-like genes plus a fucosyl-transferase and the vOX2-1 gene), the vOX2-2/3/4 gene block (L2), the bulk of the UDG/gL/ORF-O/ORF-P/ORF-Q gene block from inside the chimeric CD-III domain (R1), and the E3/E4/E5 gene block encoding vGPCR5, vGPCR6 and an acetylglucosamine-transferase protein (L1). Dr Hayward and his laboratory group have described many of the general features of these selected highly diverged loci previously, but the release of the completed annotated files from numerous strains means that all of the details and interpretations about intron/exon structure, the nature and subtype designations of the encoded proteins and their relationships to other known viral or cellular proteins (if any) are now available to anyone interested. These results bring the total number of EEHV-related Genbank DNA sequence files his team has successfully generated and released to over 1040. The major conclusions of these studies are that whereas some elephant housing facilities have had multiple distinct strains of EEHV1, others have sometimes experienced infections with identical strains even many years apart, but when multiple cases occur in pairs of calves at the same facility at nearly the same time they have always involved identical strains of EEHV1. However, in contrast, there is not a single documented example of the same strain of EEHV1 occurring at two different facilities anywhere around the world, in fact the strains encountered at different locations are all substantially different and easily distinguishable. One reason these strain differences are so intriguing is the largely unprecedented levels of divergence found within a single herpesvirus species and the deduced implications about the extraordinarily ancient nature and length of survival of these variants as part of the evolution of modern EEHV1 genomes. Some similar aspects of chimerism, subtype clustering and ancient recombination have also been found and described amongst extant human herpesviruses, especially Epstein Barr Virus which causes infectious mononucleosis, human herpesvirus 8 and human Cytomegalovirus populations. The EEHV1 story combines many of the various features found in all three of those human viruses as well as additional ones unique to the elephant viruses. All of this is just a segment of the work Dr. Hayward and his team have done regarding EEHV. His list of publications on the topic is expansive, to say the least. We have selected the most significant ones to list below. Needless to say, IEF is honored to support this vital, foundational work. 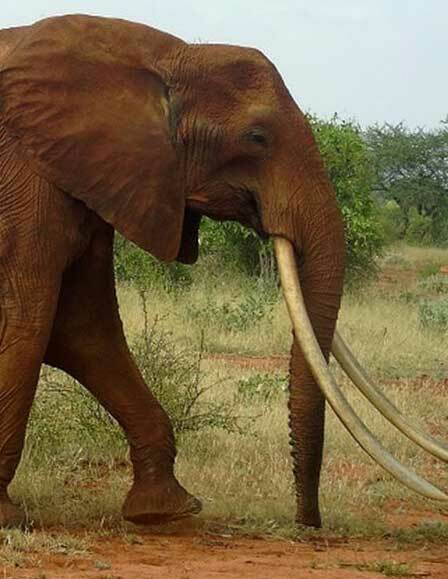 Epidemiologic evaluation of elephant endotheliotropic herpesvirus 3B infection in an African elephant (Loxodonta Africana). Bronson E, McClure M, Sohl J, Wiedner E, Cox S, Latimer EM, Pearson VR, Hayward GS, Fuery A, Ling PD. J Zoo Wildl Med. 2017 Jun;48(2):335-343. doi: 10.1638/2016-0063R.1. Comparison of the gene coding contents and other unusual features of the GC-Rich and AT-Rich branch Probosciviruses. Ling PD, Long SY, Zong JC, Heaggans SY, Qin X, Hayward GS. mSphere. 2016 Jun 15;1(3). pii: e00091-16. doi: 10.1128/mSphere.00091-16. eCollection 2016 May-Jun. Clinical infection of captive Asian elephants (Elephas maximus) with elephant endotheliotropic herpesvirus 4. Fuery A, Browning GR, Tan J, Long S, Hayward GS, Cox SK, Flanagan JP, Tocidlowski ME, Howard LL, Ling PD. J Zoo Wildl Med. 2016 Mar;47(1):311-8. doi: 10.1638/2015-0072.1. Review of elephant endotheliotropic herpesviruses and acute hemorrhagic disease. Long SY, Latimer EM, Hayward GS. ILAR J. 2016;56(3):283-96. doi: 10.1093/ilar/ilv041. Review. Detection of quiescent infections with multiple elephant endotheliotropic herpesviruses (EEHVs), including EEHV2, EEHV3, EEHV6, and EEHV7, within lymphoid lung nodules or lung and spleen tissue samples from five asymptomatic adult African elephants. Zong JC, Heaggans SY, Long SY, Latimer EM, Nofs SA, Bronson E, Casares M, Fouraker MD, Pearson VR, Richman LK, Hayward GS. J Virol. 2015 Dec 30;90(6):3028-43. doi: 10.1128/JVI.02936-15. Comparative genome analysis of four elephant endotheliotropic herpesviruses, EEHV3, EEHV4, EEHV5, and EEHV6, from cases of hemorrhagic disease or viremia. Zong JC, Latimer EM, Long SY, Richman LK, Heaggans SY, Hayward GS. J Virol. 2014 Dec;88(23):13547-69. doi: 10.1128/JVI.01675-14. Epub 2014 Sep 17. Elephant endotheliotropic herpesviruses EEHV1A, EEHV1B, and EEHV2 from cases of hemorrhagic disease are highly diverged from other mammalian herpesviruses and may form a new subfamily. Richman LK, Zong JC, Latimer EM, Lock J, Fleischer RC, Heaggans SY, Hayward GS. J Virol. 2014 Dec;88(23):13523-46. doi: 10.1128/JVI.01673-14. Epub 2014 Sep 17. Fatal herpesvirus hemorrhagic disease in wild and orphan asian elephants in southern India. Zachariah A, Zong JC, Long SY, Latimer EM, Heaggans SY, Richman LK, Hayward GS. J Wildl Dis. 2013 Apr;49(2):381-93. doi: 10.7589/2012-07-193. Elephant endotheliotropic herpesvirus 5, a newly recognized elephant herpesvirus associated with clinical and subclinical infections in captive Asian elephants (Elephas maximus). Atkins L, Zong JC, Tan J, Mejia A, Heaggans SY, Nofs SA, Stanton JJ, Flanagan JP, Howard L, Latimer E, Stevens MR, Hoffman DS, Hayward GS, Ling PD. J Zoo Wildl Med. 2013 Mar;44(1):136-43. Detection and evaluation of novel herpesviruses in routine and pathological samples from Asian and African elephants: identification of two new probosciviruses (EEHV5 and EEHV6) and two new gammaherpesviruses (EGHV3B and EGHV5). Latimer E, Zong JC, Heaggans SY, Richman LK, Hayward GS. Clinico-pathologic features of fatal disease attributed to new variants of endotheliotropic herpesviruses in two Asian elephants (Elephas maximus). Garner MM, Helmick K, Ochsenreiter J, Richman LK, Latimer E, Wise AG, Maes RK, Kiupel M, Nordhausen RW, Zong JC, Hayward GS.Vet Pathol. 2009 Jan;46(1):97-104. doi: 10.1354/vp.46-1-97. 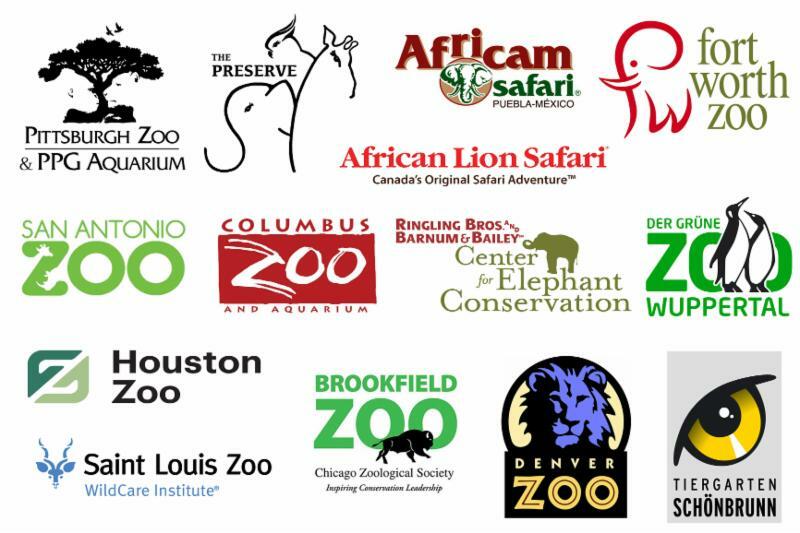 We are proud to acknowledge our Board of Directors who have contributed expertise, time, and significant financial support to the International Elephant Foundation.